Earlier on this week we reported that the Triopo TR-850EX flash was on sale, and it seems that Chinese manufacturer Triopo is on a roll. The bigger brother of the TR-850EX has started shipping as well. This version differs by additionally offering E-TTL exposure and high speed sync over 2.4GHz. 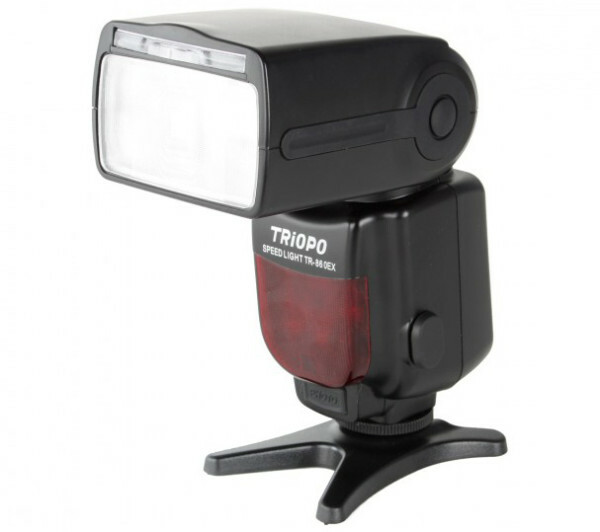 The TR-860EX seems like a rival for Canon’s Speedlite 600EX-RT , but Triopo is known for having some quality control issues, so it is still questionable if they can keep up with the big brands. 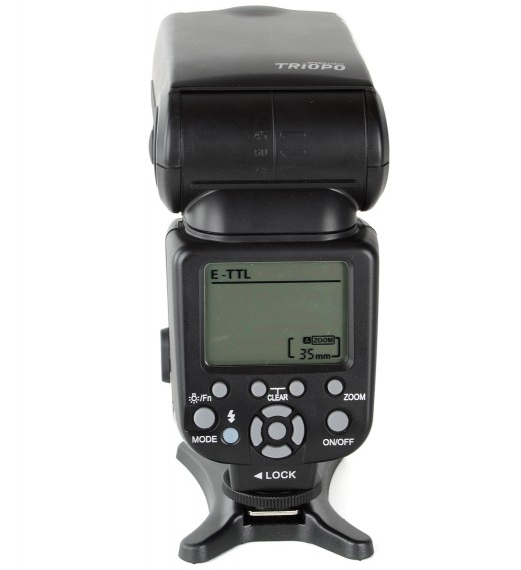 Like the 600EX-RT, the TR-860EX offers a wireless link between two flashes to remotely adjust power and flash controls. As with the TR-850EX it has manual control, proprietary master and slave modes and stroboscopic (multi) flashing, but with the addition of wireless E-TTL exposure control and high-speed sync (HSS). Dutch seller Folux has listed the flash unit on their online store. They confirmed via e-mail that the TR-860 is indeed already available and they had, when we asked, 19 units in stock. It seems that the TR-860EX and TR-850EX are not the only Triopo flashes compatible with the company’s new 2.4GHz system. There is also a unit called the TR-985 (TR-985C for Canon; TR-985N for Nikon) which also offers TTL, high-speed sync and radio control. It’s not clear how (or if) this is different from the TR-860. Lighting Rumours already have asked around, and hope to update this post within a few days to inform you about the differences. Thanks to Christopher Adolph for the tip.